Welcome to our latest E-news - if you know of anyone who is interested in receiving our Enews, either contact admin@contraflow.org.uk or sign up via our website. 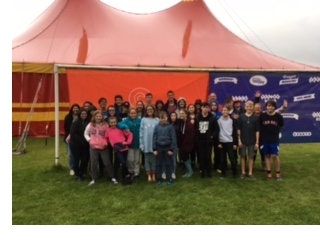 Soul Survivor - 19 young people and 4 adults camped at Soul Survivor this year for 5days, with another 7 young people and 2 adults coming as day visitors - it was a fantastic opportunity to spend time worshiping God and learning through seminars. We are already looking forward to next year. Summer Holiday Clubs - our theme in both Helensburgh and the Peninsula this year was Space Academy based on the stories of Daniel. Both clubs were well attended and thoroughly enjoyed by the young people. 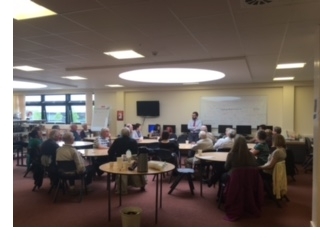 Chaplaincy 'Drop in' at Hermitage Academy - A new venture from the Chaplaincy Team at Hermitage Academy this year, is a café style space for free Hot Chocolate is served, and Chaplains can get to know the pupils - we meet every Wednesday lunchtime in the Library. Prayer Time at Hermitage Academy - 3rd October - to pray for the school - After a successful first prayer time in August, a number of people expressed an interest to do this more often, hence the next prayer time is the 3rd October at 4.30pm -please encourage other to join us. Bubblegum & Fluff - is being held in few different venues this year to enable even more schools to attend - from Arrochar to Cardross. The pupils and Teachers all enjoyed their time with us. We enjoyed working with the various churched to make this happen. Pupils and Teachers all enjoyed their time with us. Fiver for Contraflow - there is still plenty of opportunities to support Contraflow - If you would like to join in this initiative there is a form available on the Contraflow Website to download or if you would prefer we can post out a copy - please let us know. We are sending you this, as you are a Contraflow supporter / volunteer. If we can be of any help to you, please get in touch with me using the current details at the very bottom of this email. Office address: Contraflow Office, Helensburgh Parish Church, Colquhoun St, Helensburgh, G84 Telephone: 07897 479 690 (New Number) Email:admin@contraflow.org.uk If you would prefer not to receive this Enews, please reply directly to this email to let me know.